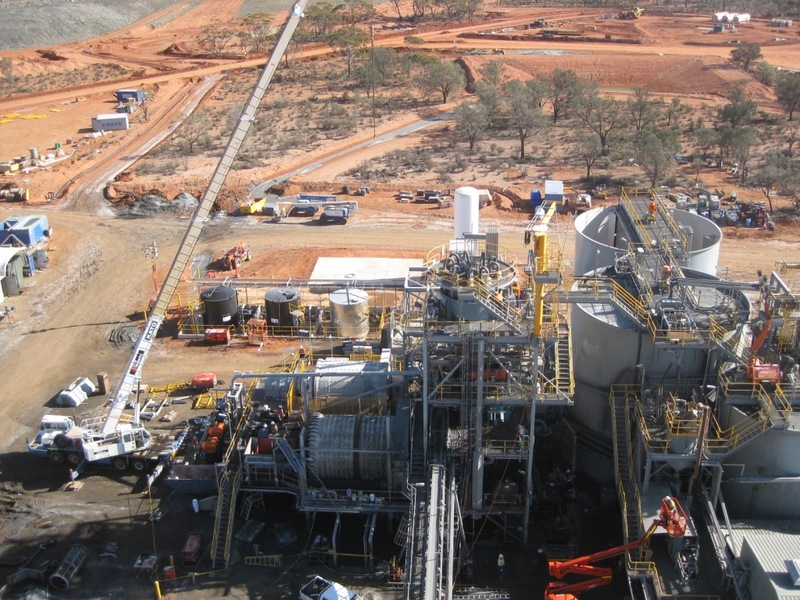 GR Engineering was appointed by Integra Mining to undertake the engineering, design, procurement, construction and commissioning of the Randalls 1 Mtpa Process Plant Upgrade. The existing crushing plant did not form part of the upgraded plants scope of works. The wet plant upgrade consisted mainly of the installation of the Integra owned ex New Celebration ball mill, an additional leach tank, new upgraded gravity circuit, larger reagents storage facilities and installation of a second lime silo. Prior to the upgrade the plant was capable of treating an ore throughput of 800,000 tpa. The grinding and wet plant circuits were designed to process ore at a treatment rate of 95.5 tph. The plant upgrade was designed to increase the treated ore throughput to 1,000,000 tpa with the grinding and wet circuits now being capable of processing ore at a treatment rate of 125 tph. The upgrade now sees ore processed through a three stage crushing circuit. Crushed ore is stored in a fine ore bin with a live capacity of 3,000 tonnes. The grinding circuit consists of both a primary and secondary ball mill. Gold recovery consists of both a gravity circuit containing two gravity concentrators an intensive cyanidation unit and hybrid CIP circuit comprising two leach tanks and six adsorption vessels. Gold is stripped from the loaded using a pressure Zadra type elution circuit consisting of two elution columns and the gold is subsequently recovered from the cathodes of the gravity and electrowinning cells. GR Engineering commenced the EPC design, construction and refurbishment of the process plant upgrade in February 2011 and commenced onsite construction works in April 2011 with the upgrade project works being completed in August 2011. Location The project is located 65km south east of Kalgoorlie (700km east of Perth) in Western Australia.